It is with heavy hearts the family of Mrs. E. Evelyn Rebaglia announces her passing peacefully at home on 6/29/2018 at 100 years of age. In addition to bequeathing over 200 of her hand crocheted blankets, our matriarch extraordinaire leaves family and friends with beautiful memories of centenarian life stories, delightful long talks, shared favorite recipes and a love of animals. Mrs. Rebaglia proudly called Carmel her home for 60 years and, always mindful of her purpose, retired at the “respectable” age of 90. 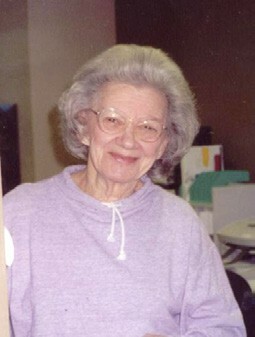 The daughter of Fred and Rose (Skokan) Novotny, she was predeceased by her beloved husband of 39 years Francis P. Rebaglia, son Gerald P. Rebaglia and sister Josephine (Novotny) Zeman. Mrs. Rebaglia is lovingly survived by son Donald F. (Mary) Rebaglia; grandchildren Robin Sarles, Kelly Tripp, Jennifer Rebaglia, Donald J. Rebaglia, Lori (Gabe) Cristofalo, Gerald P. Rebaglia, Craig P. Rebaglia, Jessica Rebaglia, and Kerry (Jason) Boyles; 14 great-grandchildren; and 2 great-great-grandchildren. Funeral arrangements are under the direction of Cargain Funeral Home, Carmel, New York. In lieu of flowers, please consider donations in her memory to St. Jude Children’s Research Hospital, 501 St. Jude Place, Memphis, TN 38105.